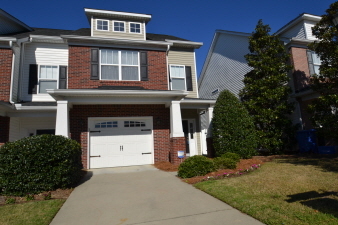 Located less than 5 minutes to Fort Jackson, 20 minutes to McEntyre Air Force Base, or bike to USC Med School! This 3 Bedroom, 2 1/2 End Unit Town Home offers a 1 car garage, nice foyer with hardwood flooring, Living Room with hardwoods opens to the Kitchen that offers white cabinetry, tile flooring, bar area and separate Eat-in area; Incredible sized Master Suite, walk-in closet; master bath offers double vanities, tile floors, garden tub; 2 additional bedrooms and full bath upstairs; pull down attic; outside find fenced rear courtyard with spacious paver patio; enjoy maintenance free living with front yard landscaped covered along with neighborhood sidewalks and Central Park with fire pit! Zoned for sought after Brennan, Crayton, AC Flora Schools!